The book offers the beginner, as well as experienced practitioner, advice on methods and examples to follow in a person's daily routine of meditation. The many chapters of different visualisations can be used to read out in a group meditation class or simply memorised to help the individual transcend into a deep state of meditation. The book also includes an explanation about the difference between the brain and the mind to help clarify our understanding of thought processes. 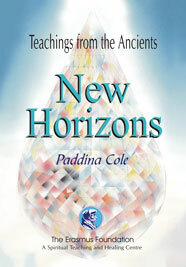 The first of a new series of publications by Paddina Cole, edited by Gordon Cole, providing a number of transcriptions from lectures given by spirit through Paddina including some lectures given by herself. A booklet containing many words of wisdom and extracts from the Books of the Law related to us from Spirit. This book is full of sound advice, knowledge and enlightenment. A comprehensive read for anyone searching for a good mind, body and soul book. 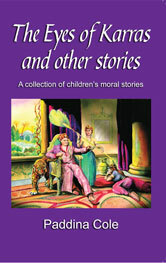 This collection of illustrated short moral stories for children could also be of value to adults, providing the reader with an opportunity to come to a better understanding of themselves and the world we all live in. 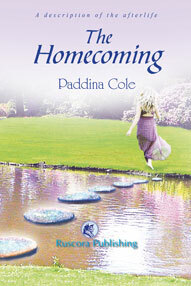 A collection of essays and observations from Paddina Cole giving a very accurate analysis of our world and mankind. There is a particularly interesting and beautiful transcription from a lecture given by the spirit, Almaysha. This mind, body and spirit booklet is a wealth of information and a colourful collection of studies. “Almaysha, an Ancient, Lord of many teachings sat in the garden of Satitatarus with his class of young and untried Spirits and called to those about to embark on a life away from their spiritual home. A transcription of a lecture given by Paddina Cole discussing the meaning of life. Packed with very informative wisdom and insight into the structure of mankind. 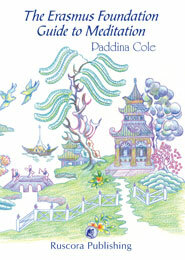 A booklet written by Paddina Cole with many strong arguments for the existence of reincarnation. A must for anyone researching this subject. 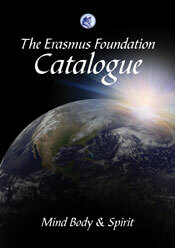 We also produce a quarterly magazine, "The Erasmus Newsletter"